A highly successful internist we know frequently enhances his doctor-patient encounters with low-key, casual (but purposeful) chitchat. It turns out that the friendly anecdotes always have a useful healthcare punch line. He skillfully brings home a vital clinical lesson or advice wrapped in an interesting, disarming and personable story. “Doctor Bill,” our internist friend, polished his storytelling skills—something they don’t teach in medical school—as an easy-to-use means to enhance people-connections and patient compliance. What’s more, the conversation-with-a-point approach easily transfers to creating original content for his online presence. It’s difficult to pin down when it happens, but the obvious by-products include rapport, trust and loyalty. Communicating ideas or activities via personal narratives—storytelling—may be as old as mankind. Stories can inform, entertain and/or educate, in part because human brains seem to be hardwired to track the beginning-middle-end information pattern. In short, people like information in a story form. Cold facts and figures are impersonal, while a narrative presentation is more memorable, often including a touch of emotion. And fortunately, the health care environment is richly populated with potential story material. CHARACTER(s): Frame your narrative around a likable main character; someone the patient can identify with as the ultimate beneficiary. Who is this? What are they doing? What are they feeling? CONFLICT OR OBSTACLE: This is the “what’s wrong,” or “what’s the problem” ingredient. This is the challenge that the character needs to overcome. How has this been a physical and emotional barrier to wellness or the character’s happiness? RESOLUTION OR REWARD: Providing an answer to the problem or delivering a solution that has previously eluded the character, leads to a (hopefully) positive outcome. How is this accomplished? How does the character feel about doing what it takes to resolve? How does the character benefit? Within this outline, a good storyteller will provide texture, imagery, motivations…and most of all, an emotional connection between the narrative and the listener. An engaging, informative and purposeful story can be the emotional transportation for physicians to win patient compliance and improve outcomes. In her career, Kathy has helped over 4,000 clients all over North America achieve their growth goals. As an award-winning strategic marketing planner, Kathy has been involved in both the high level strategies required for long-term sustainability, plus the tactical execution used to accomplish day-to-day successes. 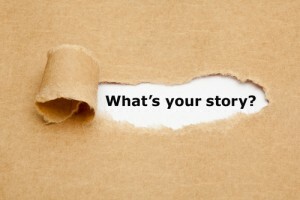 The post Storytelling Enhances Content, Connections and Compliance appeared first on Healthcare Success.